Hit-Point, the creator of the popular game Neko Atsume, has another amazing game to its name. It’s called Tabikaeru. The literal meaning of the game title is Travel Frog. The game is available in the Japanese language, but you can download it from either the App Store or Google Play Store if you wish to plunge into an interesting gameplay. Because Tabikaeru is a mellow game, there are fewer chances that you’ll mess it up if you tap some random buttons. It’s a game about waiting on animals. You play as a house-sitter in the game. 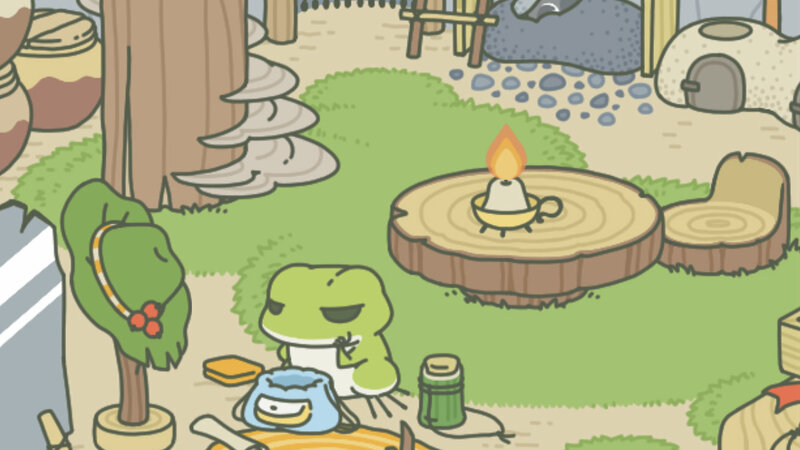 The house belongs to a little frog who loves to travel around Japan. You pack for his trip, provide him with lunch, and travel gear before you send him off. Once he is on tour to different parts of Japan, you can harvest clovers in his garden, sell them to purchase more travel gear, and greet his guests that come to his place. The items that you pack for him determine where exactly does the frog goes, what all snaps and stills he brings back with him for your album, and what all souvenirs become a part of his trip back home. There’s a souvenir gallery to fill along with food gifts that you can offer to the guests. 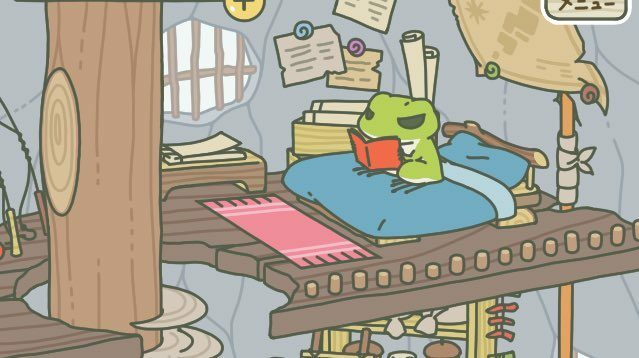 If you are actively involved in the gameplay, you should ensure that the frog doesn’t leave with any empty pockets in his bag. However, you won’t have any travel gear to give to the frog in the first few trips. Also, you have to ensure that you don’t give him any cheap food after his first trip. This is so because, with cheap food, he won’t go to any special place. Though you can purchase food and travel gear from the shop, you also have to take care of lucky charms. Sometimes you can get four-leaf clovers from the garden. You can use the same as a lucky charm. In case, you don’t get any, there are lottery tickets for your help. Either the frog will buy the lottery tickets for you or the arriving guests’ mail will have them. You can win new lucky charms in the lottery tickets. On the whole, make sure you have good food and travel gear for the frog to send him to some of the amazing places. Press top buttons to view past souvenirs and photos.